Orange County is home to a vast selection of waterfront real estate, including beachfront homes, oceanfront homes, and bayfront and harbor homes. 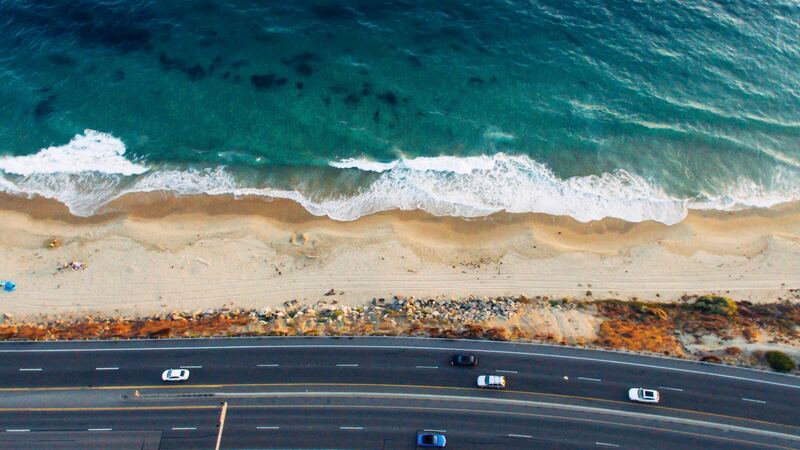 With miles of pristine coastline, the coastal communities of Orange County offer luxurious waterfront properties for the most discriminating buyer. To provide you with a truly personalized service, we offer free registration to our site, which gives you an all-access pass to detailed information about each home on the Coastal Orange County Real Estate market. Our listings include high-resolution photos, detailed property fact sheets, neighborhood and school reports, latest mapping technology from Google Maps, Walk Score, Street View & Bird's Eye View technology. Register now to set up your unique Control Panel. Tailor your search parameters and save time on future visits, bookmark your favorite properties, and receive notifications each time a new home is listed on the Orange County MLS that meets your specifications. For you, this means no more wasting time looking at properties that aren't right for you. Looking for an ocean view home? Our site is updated daily with all the new Orange County ocean view homes for sale that hit the MLS system. Visit our Orange County ocean view homes page to view ocean view homes in Huntington Beach, Newport Beach, Corona Del Mar, Newport Coast, Laguna Beach, Dana Point, Laguna Niguel, San Juan Capistrano and San Clemente. Orange County Waterfront Homes is updated daily with all new oceanfront homes that are listed on the market. Visit our Orange County oceanfront homes page to view oceanfront real estate in Huntington Beach, Newport Beach, Corona Del Mar, Laguna Beach, Dana Point and San Clemente. Orange County Waterfront Homes is proud to supply all beachfront property located throughout Orange County that is listed on the market. Visit our Orange County beachfront homes page to view beachfront real estate in Huntington Beach, Newport Beach, Corona Del Mar, Laguna Beach, Dana Point and San Clemente. Our site, Orange County Waterfront Homes is updated daily with all new Orange County bay front and harbor real estate listed on the market. Visit our Orange County bay front and harbor homes page to view bay front and harbor real estate located in Huntington Beach, Newport Beach and Corona Del Mar. We can assist you with matching your desired preferences including boat dock accommodation, home size, location, etc. We provide extensive knowledge and experience to our clients and have a proven track record of getting top dollar for our home sellers. We cover all aspects of the home selling process from assisting with the preparation of your home with our FREE interior designer/stager consultation to the final closing. Our aggressive marketing plan is one of the best in the industry and employs both traditional and highly effective internet marketing. Find out an accurate value of your home and receive our FREE seller's guide filled with valuable information on the home selling process including tips on maximizing the equity in your home.